An orienteering event in Huating Town early this month attracted around 1,000 participates to experience rural life by running through country fields and forest roads. 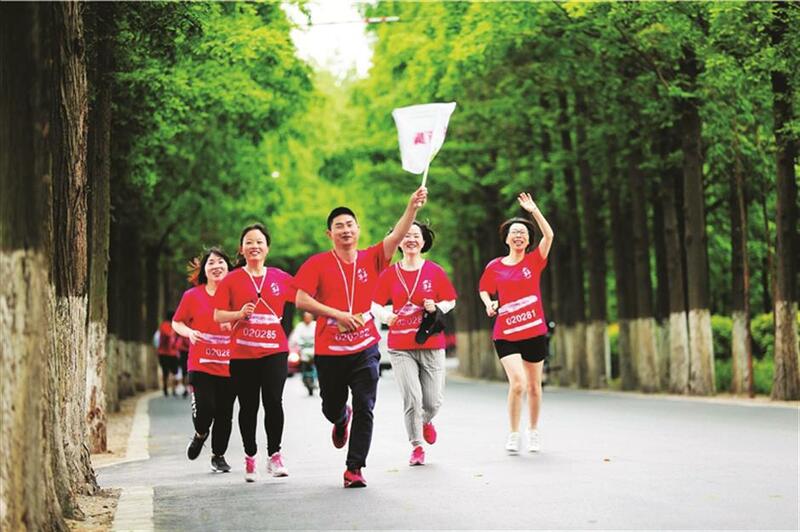 Team members participate in a pastoral orienteering event and experience rural life by running through country fields and forest roads in Jiading’s Huating Town. Located in the northeast of Jiading, Huating is rich in rice, garlic, melons and vegetables. Orienteering normally takes place in an urban environment but the Huating event offered participants a chance to get out into the country. There were three routes, the longest being more than 2 kilometers. Destinations along the way included Maoqiao Ecology Farm, Beixin Pastoral, Hengjiazhuang Farm, UpGolf, Quanjin Equestrian and Liudao Ecological Garden, all landmarks representing Huating’s modern agriculture, tourist industry and ecological reserves. Besides appreciating the rural scenery, participants were required to finish tasks at each destination. Urban orienteering requires people to answer questions, do push-ups or pose for the camera, but the sponsors of the Huating event designed a series of tasks with a rural touch. For example, participants were required to transplant a certain number of rice seedlings. This, for most urban dwellers, was a novel experience. This pastoral orienteering is also Huating’s trial to promote its rural traveling programs. There were other activities like equestrian carnival, fishing competition and parent-kid sports events. “We will keep on holding various sports events with rural touch to promote Huating as an ecological town,” said He Rong, Party secretary of Huating.